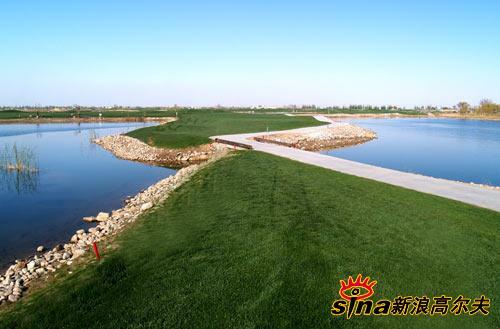 Huanghe Golf Club (银川黄河高尔夫俱乐部) covers an area of 1100 mu (73.3 hectares). The club is conveniently located near the Yinqing Expressway, 5km from the airport. The course is 7,267 yards. With the principle of adjusting measures to local conditions, it takes advantage of the hilly terraces and numerous ponds to make the sport full of challenge and fun. This 18-hole par-72 course covers an area of about 733,000 sq.m. Besides, it has VIP practice room.